Prodways Technologies one of the global providers of multi-technology, industrial 3D printers and related materials announced in an official release that French DO’IN3D – a 3D printing service provided has reposed its trust in Prodways Technologies’affordable Selective Laser Sintering 3D printer to offer 3D printing services to the industrial market. The move seems to come as a result of increasing demand for 3D printed services from various industries who in fact begin their digital changeover by ordering on-demand parts 3D printed by 3D printing service providers who need to guarantee high-quality unique parts cost-effectively and in record times. 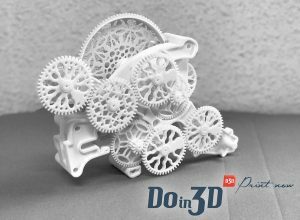 DO’IN3D chose the ProMaker P1000 to increase its production facilities because of the 3D printer’s large building platform that allows improved industrial performance at a price as low as $100,000. Offering more details of how additive manufacturing is benefiting companies in lowering their production cost, and lead time, Luc Eckenfelder, General Manager of Prodways Conseil stated, “Up to now, the industrial companies are not taking advantage of the full additive manufacturing potential towards each step of their production process. Based in Savoie, France, DOIN3D offers 3D printing services that meet high demand and helps find technological answers to various design issues. 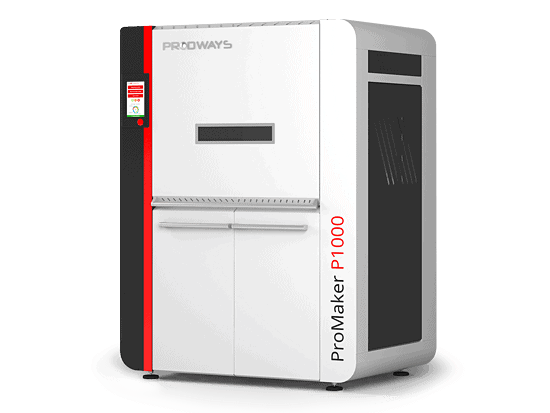 The company is not the first one using Prodways Technologies 3D printing solutions, Fischler Dental AG, a leading dental laboratory in Switzerland has also been using Prodways Technologies’ ProMaker L5000 D 3D printer to increase production of its dental models.